Top of Sight & Sound's Best Documentary Poll of 2015, and 8th in their Top 100 Best Films, Man with a Movie Camera is a dazzling amalgam of documentary and pure cinematic art. 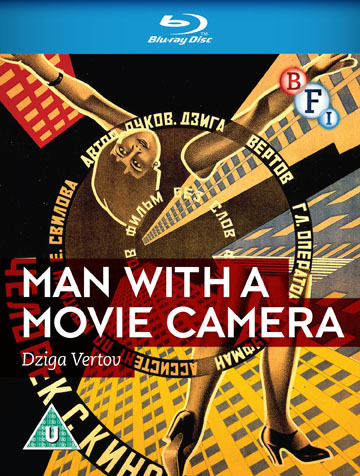 Voted the greatest documentary of all time in the 2014 Sight & Sound poll, Vertov’s ground-breaking Man with a Movie Camera uses an array of dazzling cinematic techniques to record the people of the city at work and at play, and the machines that keep the city going. Presented with Michael Nyman’s celebrated score, this classic film is accompanied by an exciting selection of new extras, including Vertov’s Three Songs of Lenin and two of his radical 1925 documentary films, both of which feature equally radical new soundtracks by electronic outfit Mordant Music.